Select SIZE Mens 20 / 35"
You are a swimming machine! In fact, you are so tireless in the water that your friends should call you Mr Robot! That’s why you need the ultra modern Finz Mr Robot Wire Men’s Splice Jammer! These jet black jammers feature a futuristic slate grey geometric accent panel down the side along with a white hot Finz logo above the knee. 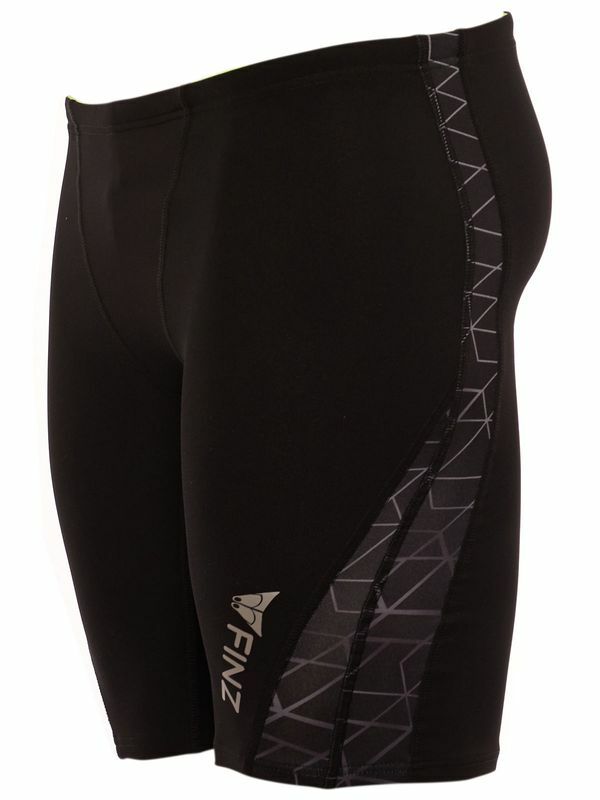 The high-tech styles from Finz were specially designed for the toughest athletes in the water. Made with 100% PBT Finz Aquashield fabric, the Finz Mr Robot Wire Men’s Splice Jammer fits like a glove and will have you flying through the water like a swimming machine!